This plan is for customers who want to enjoy sightseeing, have dinner in Kinosaki Onsen town or save your travel expenses. 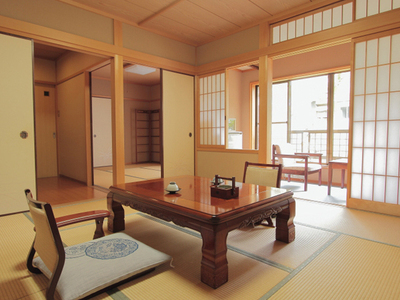 Staying overnight without meals to enjoy your time in Kinosaki Onsen town. Visitors staying here can use Kinosaki's seven public bath houses for free between check-in and check-out with free admission ticket, but also you can use our indoor baths for private use.